Wow. What a fantastic issue. 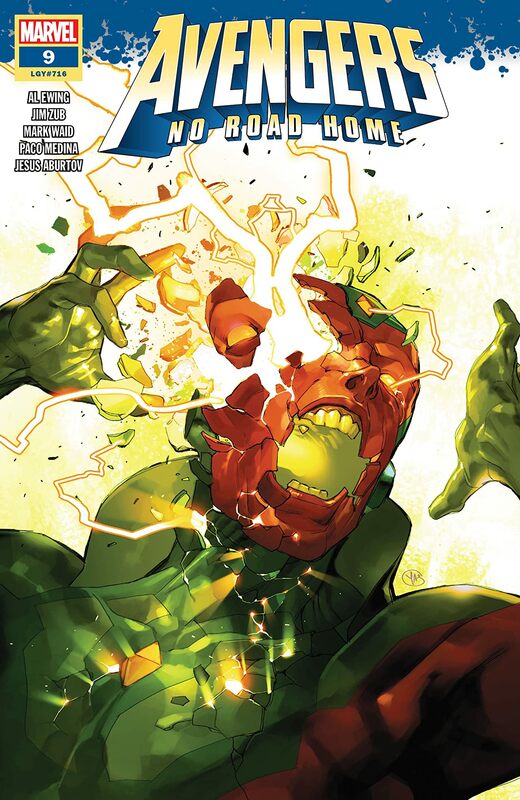 The penultimate issue of this weekly Avengers series is just thrilling, unexpected and remarkably based in character. This is why this series has been so brilliant. They are not just going through action stories, but every moment is wrapped in character. The several pages at the beginning of this book where the character named “Euphoria” asks the Avengers and Nyx, the Goddess of Night, why they want the final shard and the following conversations is amazing. I just loved these pages and read them a couple of times. How great! Then, there is a moment with Rocket that is all kinds of awesomeness. No spoilers, of course, but it is one of my favorite moments in the issue… and that is saying a ton. And the ending… come on. This sets up just the most epic final issue of any series in a long time. This is easily the best Avengers based series going today and could be the best comic Marvel is putting out. I thought Marvel Knights 20th limited series was special last year, but I am telling you, that series had some down moments, but Avengers: No Road Home has not once been anything but compelling. Not only do I want to know how the storyline with Nyx plays out, I want to know how the character arcs of Vision, Hercules, Hawkeye, Hulk, Voyager (who also gets a big moment here) play out. I can’t imagine that the conclusion will be anything but astounding. I have said it before, but I will say it once more…I can’t wait until next week for the final issue of Avengers: No Road Home.